According to yesterday's speech at the 4G Executive Summit, AT&T's Hank Kafka is confident that the company will implement LTE technology "within five years;" however, he added that no rush was needed, as the company is confident in its ability to build on its HSPA architecture. Kafka, the VP of Architecture for the company, told attendees that AT&T can build out on its existing technology and still provide decent broadband coverage to customers, stating that the current technology that AT&T employs is "truly and simply mobile broadband today." He further discussed the impact of the iPhone 3G, and its ability to show their customers the functionality of wireless broadband. In a comparison of wireless broadband to the inception of the Internet, Kafka said “Now we’re on the verge of that creativity being unleashed.” Through all of the changes, however, the company is confident that it made the correct choice in regards to technology. He went on to take aim at CDMA providers, noting that EV-DO had a limited future, and pointed to a LTE as better choice of 4G technology over WiMAX, claiming that it required fewer sites. Of note: Verizon Wireless and Sprint have both announced their intent to convert to 4G technologies; Verizon Wireless is pursuing LTE, and Sprint is pursuing WiMAX (recently launched in Baltimore, Maryland). "Almost" means in the next two years? Wow. I guess I'll have some decisions to make next time my girlfriend tells me dinner is "almost" ready. Well when your girlfriend starts cooking for 80 million people nationwide, then maybe I'd take your argument seriously. What argument? Are you seriously going to try to tell me that 4G arriving in 2 years for VZW means it's almost out? Let me know when they at least have a test city up and running. LTE may very well be the future, but the future is not now. Er .. an argument is not necessarily anger related. Its any statement that someone makes, that they stand by. Assuming you stand by what you said, you did indeed make an argument. 4G will be released NATIONWIDE, within the next two years. Last I heard test cities will be running sometime in the first half of 2009. Less than a year sounds like a pretty near future to me. Hell, even some of Verizon's best known features still aren't nationwide, so to have something as big as 4G UP AND RUNNING NATION/NETWORK WIDE, within the next two years is a pretty viable and commendable achievement. Verizon needs LTE. 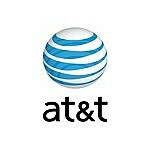 AT&T can refine EDGE and also HSPA for faster Download/Upload speeds. Verizon is not planning on going Rev B or C so there is no chance of refining it's current EVDO network. In 2 Yrs AT&T should have it's 3G network covering 80%+ of the US and it will be faster than EVDO. To stay competitive, Verizon will push LTE out there as soon as possible, or it can take the Canadian CDMA carrier route and switch to HSPA. As for CDMA being a dead technology, analog was born 1983 and come 2008 we shut it off? I don't think we will see Verizon's CDMA network go away as soon as LTE's footprint is full operation, that could take another 10 yrs or so. Oh even better, the articles mentioned in post number twenty show that Verizon will be testing in the even nearer future. Better tell your girlfriend to whip out her oven mits. Thanks for defining "argument" for me. Consider me enlightned. Commendable achievement or not, I stand by my original statement that something being rolled out in a couple of years is not "almost available". To me, I don't see how someone can argue that. That was my point. ..? COMPLETELY ROLLED OUT IN A COUPLE OF YEARS. It (testing) will be in some major metropolitan areas in a few months. Ya I'm not sure if your aware of this skippy but VZW has been testing LTE for some time now. Since this is still in test phase they aren't going to be tell every tom and harry what city or area's of the US they are testing in. Skippy? Don't call me peanut butter, dude. That's uncalled for. :) When I said "test city", I meant consumers actually using the product. Like WIMAX is being tested in Baltimore. According to Engadget, the first test of LTE under everyday conditions was only done two weeks ago.....in Germany. According to VZW's announced plans, the network will LAUNCH sometime in 2010. They would like to rapidly accelerate toward full deployment by 2011. That is what is being reported and I'm going to lean towards believing that over what some guy who works in a store heard. If they roll it out quicker, good deal. Seriously. ^^^ Fangays need to stop focusing on ATT. All i ever hear is "OMG WTF? WUTZ RONG WIT ATT. THEY R THE SUX00Rz. WE WINZ VRIZON IS THE &$#% SUNNNNNNN." Just stop. everyone on here PLAIN AND SIMPLE KNOWS VERIZON IS #1 IN TECHNOLOGY OF NETWORK, GROWTH, AND YES RELIABILITY DAY IN DAY OUT. EVERYONE NOT IN AGREEANCE IS IN DENIAL BECAUSE THEY STUCK IN CONTRACT W/ SH*%$ CARRIER OR CANT AFFORD VERIZON. (PERIOD)! I like how you write "period" and then put an exclaimation point after it. Classic. No, but seriously....get a life. Verizon may not be the best carrier for every person out there. Deal with it. I have to disagree with you. Verizon may have slightly better coverage in a few certain areas but in 99.99% of places all the national carriers are the same. In addition, Verizon is overpriced. The way to go is GSM so you can get an unlocked Nokia S60 E or N series. Besides Verizon puts that terrible proprietary O.S. on their non-smart phones and has been known to disable features on their phones. you know i hear that most women now notice if a guy has verizon or not, cause its more expensive, makes him seem like he spends his money, on EXCELLENT service and not shi**y service. With AWESOME phones. Yeah. That's the type of woman I want, so in five years she'll have half of everything....including the family plan. You fail. why is verizon going to LTE and not staying with a CDMA base?? Because the rest of the world minus Sprint is going to LTE. Verizon won't have LTE network wide in 2 years. It's a whole new technology, it'll require a lot of cash, and a lot of work. Voda and Verizon are working on the technology. There is already field test doing handoff with 170mbps download. Verizon will already invest 5.5 Billion dollars into it's current network this year alone. So the money is there, the work is there. is LTE going to be faster then Wimax or w/e it is called? does LTE use a sim card like gsm?? There is a difference between lab trials and real-world trials, but I wouldn't expect a twit like you to understand. Here's a fact, most evolutionary technology are in the labs for YEARS before they even consider real-world trials...then real-world trials can take anywhere from a few months up to a couple years before they are released to the masses.